An invitation for a new adventure through a mysterious and captivating world, Van Cleef & Arpels Oriens Eau de Parfum conveys the splendour and mystery of an olfactory trip to the Orient. 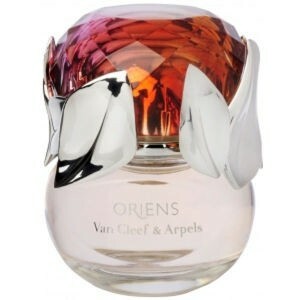 Juicy berries and diaphanous petals give Van Cleef & Arpels Oriens Eau de Parfum its sensual aura. With its elegant composition, this luxurious scent effuses opulence along a journey of a thousand suns and precious dreams that shine eternally. "A mixture of bitter sweet and sultry warmth and spices"